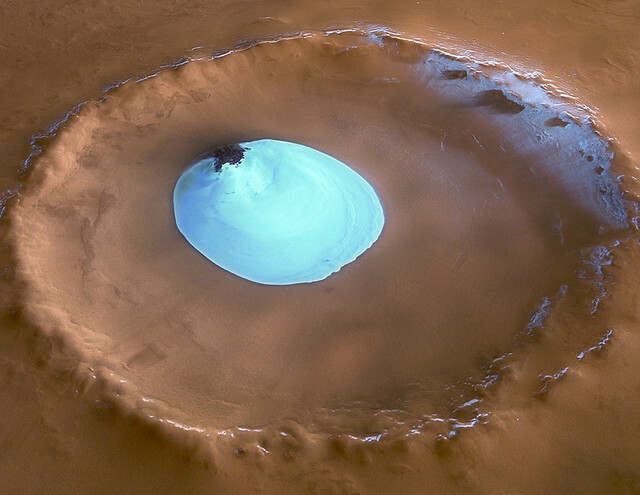 This is a giant patch of frozen water inside an unnamed impact crater on Mars. The existence of this water-ice patch on Mars makes life a more likely possibility and raises the prospect that past or present life will one day be detected. At a glance, the Mars’ lake looks like a blueish fried chicken egg. Don’t you agree with that? 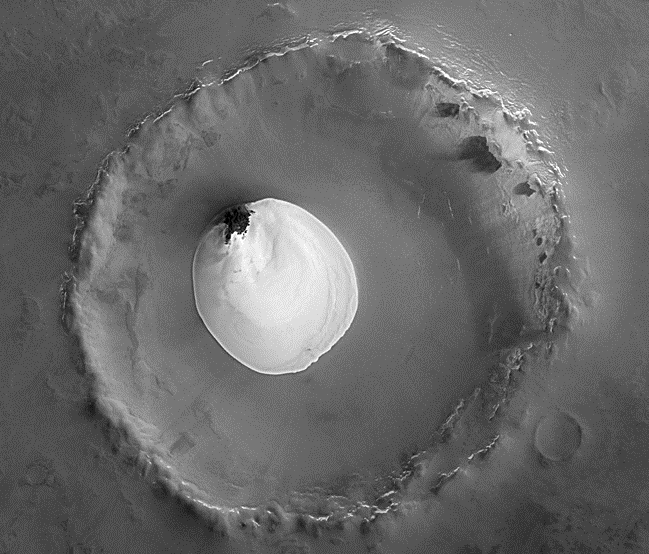 The crater with ice disc is on the Vastitas Borealis, a broad plain that covers much of Mars’s far northern latitudes. The crater is 35 km wide, with a maximum depth of about 2 km. The image was taken by the High Resolution Stereo Camera on European Space Agency (ESA) Mars Express. Scientists believe the water-ice is present all year round because the temperature and pressure are not sufficient to allow it to change states and vaporise into the atmosphere. It is not frozen carbon dioxide, because this type of ice had already disappeared from the north polar cap by the time this image was taken.